The somewhat forgotten American painter who created this work, Francis Bicknell Carpenter (1830-1900), is both the instigator and story-teller of how several of the most famous, well recognized, highly replicated, and widely revered photographs of Abraham Lincoln were created in February and April of 1864 over the course of three eventful sittings with the photographer Anthony Berger. But for Mr. Carpenter, Lincoln never would have sat for 13 extraordinary photographic views and the world would never know that Anthony Berger was the man who created these iconic studio images. Carpenter appears to have overlapped Berger’s earliest tenure at 359 Broadway during the year 1855. That year also marks when Mathew Brady began advertising the use of a new revolutionary form of photography — the wet plate collodion process — which would soon overtake daguerreotypes and ambrotypes in popularity. It is not clear whether Berger first leased space at 359 Broadway in order to operate as an independent painter, like Carpenter, or if he was employed there by Brady from day one. Because Berger listed himself in the 1854-1855 Wilson’s Business Directory as a “landscape painter” working out of his home at 251 Bowery, either scenario is possible. As explained in Footnote 4 in the article “Chewing on ‘A. Berger,'” many photographers and the retouchers whom they employed were artists with a background grounded in painting subject matter on canvas or other objects. Those who fit that description and wanted to make pictures had to learn the chemistry and techniques involved in preparing the sticky wet collodion film on glass plates, developing the exposed plates, and printing the negatives as positive images on albumin-treated paper. But as of 1855, even the talented daguerreotypists and ambrotypists at famous New York City galleries, such as Mathew B. Brady’s establishment, were still learning how to master the chemistry and the new processes involved in making wet-plate collodion negatives. Although the wet-plate process first was described in writing by the Englishman Frederick Scott Archer in 1851, it took a few years for it to catch on in the United States. Anthony Berger’s first appearance at 359 Broadway was perfectly timed to coincide with the advent of American wet plate collodion photography. Berger and Carpenter conceivably first crossed paths even earlier. Carpenter resided in Brooklyn in 1854 (and for many years thereafter). A census schedule entry appears to show that Anthony Berger lived in Brooklyn for several months after arriving in New York City from England in February of 1854. Thus, Berger’s initial introduction to fellow painter F.B. Carpenter may have occurred in Brooklyn. In that case, it is likely that Carpenter secured for Berger an introduction to and possibly a job with the famous “Brady of Broadway.” By 1856, Brady’s need for skilled artisans on his staff grew after introducing to an eager audience his expensive “Brady Imperials” which were photographic images blown up by solar enlargers onto a large canvas and then heavily colored by oil painters — resulting in sort of a mix between a photo and a painting. 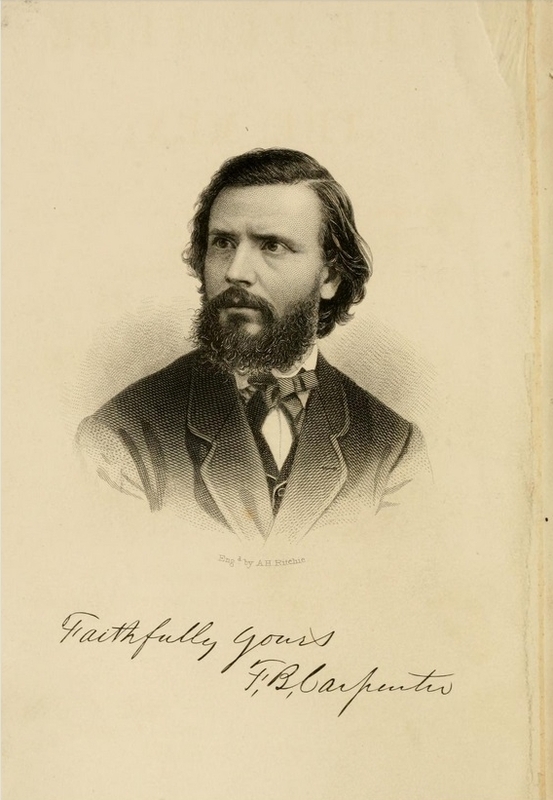 It is speculated that Alexander Gardner, who joined Brady’s staff in 1856, introduced M.B. Brady to that lucrative innovation. Now jump ahead nearly a decade. Lincoln is President, a horribly bloody Civil War has been raging, and M.B. Brady owns two celebrated photographic galleries in NYC and Washington, D.C., the latter of which is managed and operated for Brady by Anthony Berger. 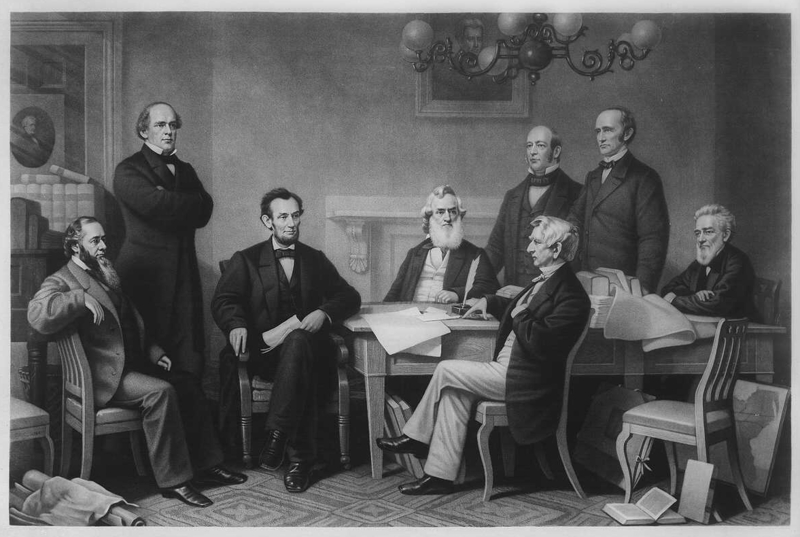 Lincoln’s Emancipation Proclamation had been formally signed and went into effect on January 1, 1863. It represented one of the most significant steps taken by the Administration to aid in prosecuting the War to a successful conclusion. Of greater importance, the Proclamation begat the eventual passage of the Thirteenth Amendment by the House of Representatives just over a year later, forever abolishing slavery. On November 29, 1863, Francis Carpenter wrote in his diary that he had “conceived the idea of painting a picture commemorative of the First Reading in Cabinet council of the Emancipation Proclamation by President Lincoln.” It was to be a fitting tribute memorializing what he considered to be among the most monumental events in human history — the moment that President Lincoln first read his carefully crafted Proclamation aloud in a meeting with his Cabinet sometime in 1862. As good fortune had it, Carpenter quickly induced a wealthy friend to fund the project as well as U.S. Representative Schuyler Colfax of Indiana to approach Lincoln and secure the President’s assent. 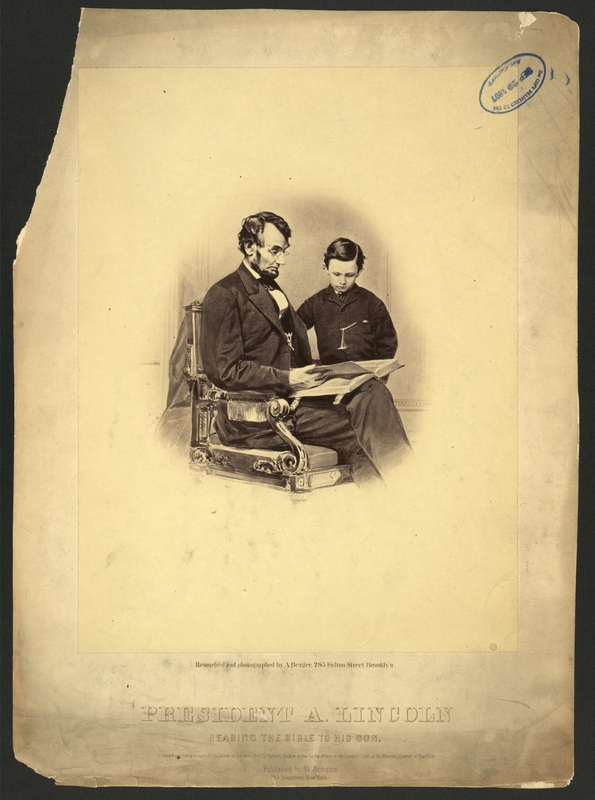 On December 25, 1864, Carpenter penned in his diary that Mary Todd Lincoln “informed [him] that President Lincoln would sit for my large picture of the ‘Reading of the Proclamation of Freedom to the Cabinet.” He dreamed that this particular work would become his defining masterpiece, placing him on the same pedestal as other great American painters of history such as John Trumbull, Gilbert Stuart, Charles Wilson Peale, and Benjamin West. But Carpenter needed even more help. He wanted his studio to be located in the White House and desired sufficient entree to Lincoln and his Cabinet members in order to sketch them and learn how to precisely reconstruct the exact scene of that first reading while their memories were still fresh [Note: ironically, the individual subjects never agreed when Lincoln performed his first reading because no one had recorded that date; they also disagreed on where everyone had been positioned and several Cabinet members thought the first reading of the draft Proclamation was of little historical consequence in light of subsequent revisions to and readings of the Proclamation]. There was no time to spare. From this point on, events moved quickly for Francis B. Carpenter. “I had resolved to discard all … tricks of picture-making, and endeavor, as faithfully as possible, to represent the scene as it actually transpired; room, furniture, accessories, all were to be painted from the actualities. It was a scene second only in historical importance and interest to that of the Declaration of Independence; and I felt assured, that, if honestly and earnestly painted [I would represent the event as would the historian in making a written record]. By this day, Carpenter completed on the “back of a visiting card” his first sketch which became the model for what he painted. The creation of some very spectacular art, however, was still yet to happen on February 9th. Understanding the impulse to see Lincoln painted on canvas may be difficult for many to grasp in a day and age when digitized images of Lincoln photographs are instantly available on the internet or reproduced on or in tangible objects ranging from posters and flat-paged books to utilitarian expressions of value such as coins and stamps. 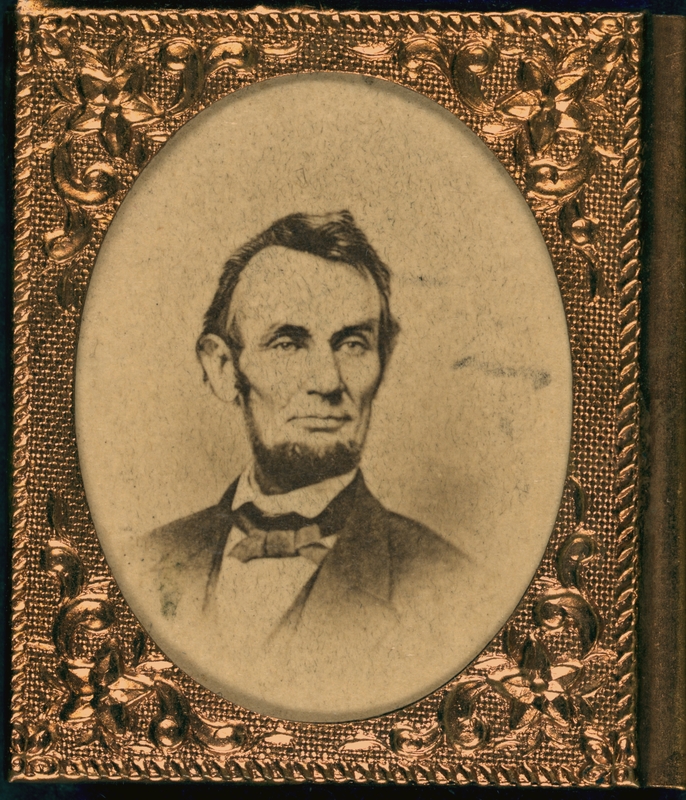 Lincoln’s pictures are far better known and appreciated today than ANY of the largely forgotten paintings and sculptures of him derived from those photographic images. Those of us now willing to take a moment to study an image of Lincoln probably do so in the hope of “seeing” beyond his “photographer’s face” to find some evidence of his genius, foibles, hopes, fears, and emotions. Simply put, most people today want to examine images of the “real” person — the “final visual record” — rather than “outdated” and stylized painted interpretations of the man. Although Carpenter had never visited Brady’s Washington gallery, it can be presumed he chose that establishment because of the relationship he had struck up with “Brady of Broadway” in the early 1850s in New York City. But the choice of Brady’s establishment did not mean that Brady would personally take and develop the photos. Brady had stopped performing those tasks over a decade earlier due to eyesight issues and the scale of his business. As of 1864, Brady’s role was more that of an overseer and marketer of his galleries & the cadre of men whom he underwrote to capture the history of the Civil War. Carpenter just as easily could have selected, for example, Alexander Gardner, or any of the several other accomplished photographers who had left Brady to go to work for Gardner’s gallery in Washington, D.C.
For example, on August 9, 1863, Lincoln went to Alexander Gardner’s new studio for a sitting. The President had promised Gardner to be his new gallery’s very first sitter and, thus, arrived there on the day before its official opening. 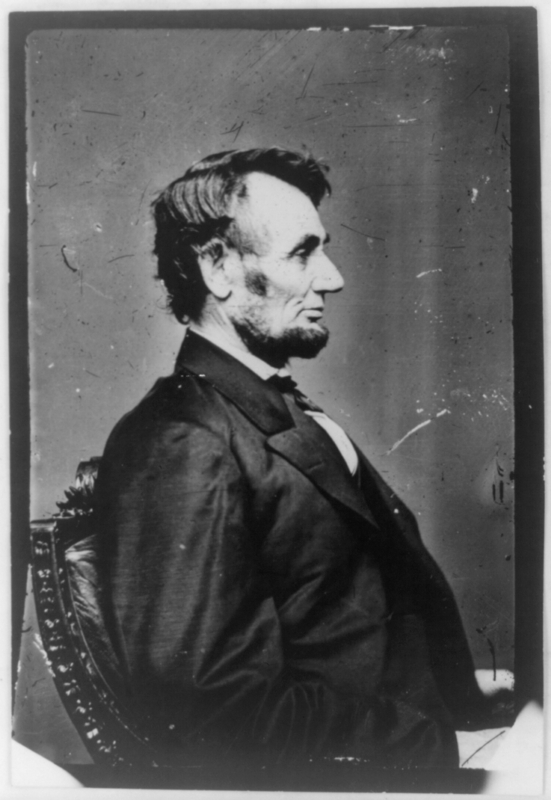 This resulted in 6 poses and many more images of Lincoln because Gardner used a four lens camera for several of the shots. Alexander Gardner had another session with Lincoln on November 8, 1863, just 11 days before the delivery of his momentous Gettysburg Address. There were a “great many pictures taken,” in the words of John Hay, one of Lincoln’s personal assistants who also posed with Lincoln and fellow assistant John Nicolay in one of the views. It is clear, therefore, that Lincoln greatly respected and was completely comfortable with Gardner, as were members of his inner circle. The question must be asked, why did Francis Carpenter entrust to Anthony Berger the hugely important task of creating photographs which he would use to paint Lincoln’s image on a portrait he hoped would be considered one of America’s most treasured pieces of its collective historical record? From where did such trust emanate? Why didn’t he just go to Alexander Gardner, who would have been available because the Union Army’s spring campaign of 1864 in the East was many weeks away from commencing? Certainly there must have existed a prior relationship between Berger and Carpenter sufficient to engender such trust and that relationship necessarily dated back many years to the 1854 to 1855 time period. It also can be reasoned that Berger’s background as a formally trained painter at the Staedelehe Institute in Frankfurt, Germany and his practiced artistic eye must have attracted Carpenter to him for this assignment. The formal instruction which Berger had received as a painter outshined Carpenter’s paltry formal training. Perhaps, then, Berger was well suited to compliment and augment Carpenter’s skills. It also bears mentioning that when Carpenter later arranged for Secretary of War Stanton to visit Berger for a picture taking session some time prior to February 23rd, such was his complete trust and faith in Berger’s talents and judgment that the session was conducted in Carpenter’s absence. But given that his relationship with Lincoln as of February 9 was just then budding and because of the enormity of the task he faced in trying to get Lincoln’s countenance “just right,” there was no way that Carpenter could possibly miss being present for Lincoln’s first sitting with Berger … or, for that matter, the other two sessions which were to follow. And when Cabinet members couldn’t make themselves available to pose for Mr. Berger, Carpenter stood in for them and posed for Berger’s camera. This Carpenter did on April 26, 1864, according to Harold Holzer, by assuming “the pose he planned to paint [of] Secretary of State William H. Seward” which Berger captured on a glass plate negative now in the possession of Carpenter descendants. Thus, it can be said that Berger served as Carpenter’s “go-to” photographer for all aspects of this important project. Perhaps, too, Anthony Berger was the cameraman responsible for capturing Lincoln in 5 poses at Brady’s D.C. gallery on January 8, 1864. Each of those views appears to have been taken by a four lens camera. Although it is not known which Brady photographer recorded those views, by virtue of Anthony Berger’s role as manager of the gallery it stands to reason that he played at least some role in their creation and likely shot them unless he was then away from Washington City. 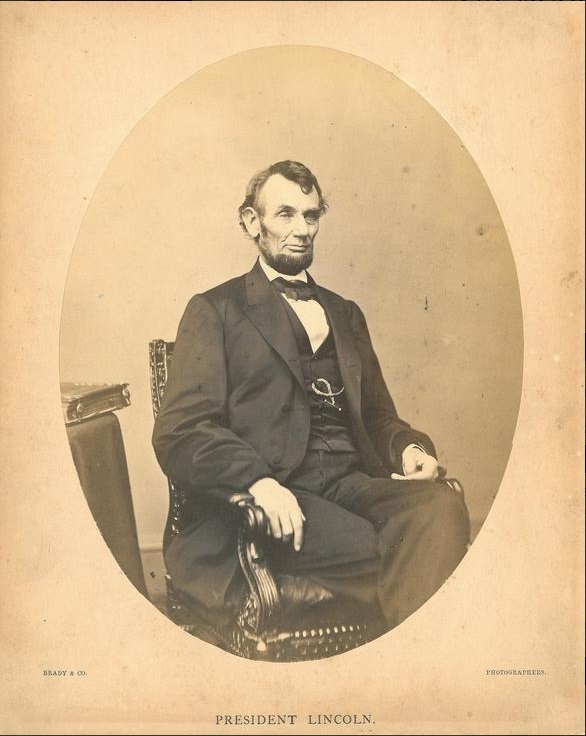 We don’t know exactly when Lincoln’s photography session at Brady’s gallery began, who assisted Anthony Berger, or how long it took to complete the session. In fact, Carpenter’s contemporaneous reference in his diary only mentioned — “Got ambrotype of President at Brady’s this P.M.” Apparently F.B. Carpenter at that time didn’t understand the difference between the making of a positive image ambrotype and a negative on a wet-plate collodion glass plate (Berger employed the latter of the two processes). It was only later in his 1866 memoirs, Six Months at the White House, that Carpenter expanded upon the visit and identified Berger as the cameraman on February 9th. 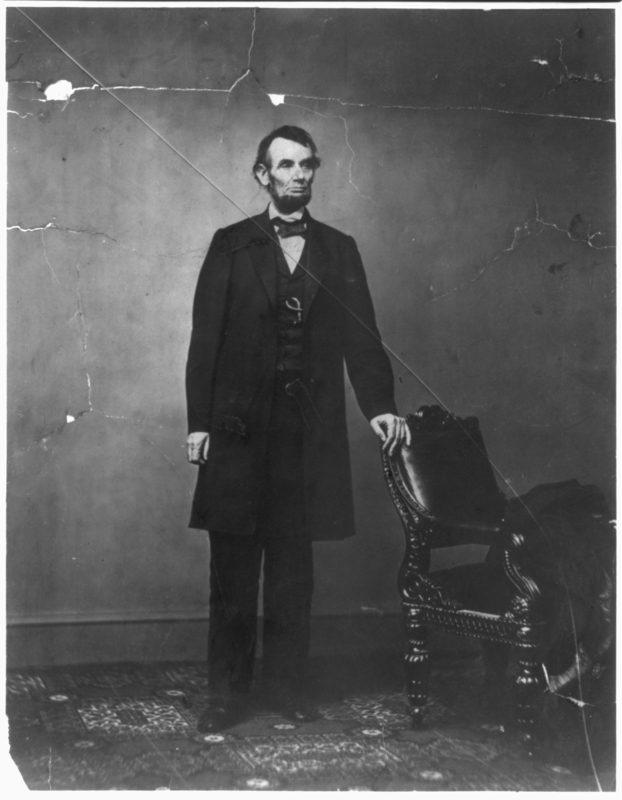 We do know that Lincoln sat through seven poses in front of Anthony Berger’s camera that day. Lloyd Ostendorf has labeled those views as O-88, O-89, O-90, O-91, O-92, O-93 and O-94 (See Charles Hamilton and Lloyd Ostendorf, Lincoln in Photographs: An Album of Every Known Pose, rev. ed. (Dayton, Ohio: Morningside, 1985), pp. 190–95. We also know that the process involved in preparing a glass plate for an exposure had to occur shortly before its use and required about 5 minutes of time, followed by another 5 minutes to complete the development of each specific negative shortly thereafter. Thus, even assuming that Berger was assisted by someone who worked on creating the plates as quickly as possible and a second person who focused solely upon their development, it is likely that Lincoln’s session lasted at least an hour by taking into account the time necessary to pose him, to evaluate the natural light filtering into the studio through the skylights, and for other related delays. View O-88 (below) created by Anthony Berger is known as “The Famous Profile” and “is perhaps the most familiar of [all] Lincoln profiles [created by any photographer],” according to Lloyd Ostendorf. The O-88 view was used in conjunction with O-89 (below), the so-called “Penny Profile,” by the artist Victor D. Brenner in 1909 to model the image of Lincoln on the Lincoln-head penny. Both views were shot with a four-lens camera. O-90 (below) also was taken with a four-lens camera. O-91 (below) shows Lincoln affecting a “faint suggestion of merriment in his sparkling eyes, as though a smile were about to ignite his masklike face.” This image was adapted into an engraving currently used on the U.S. Five Dollar bill. It also “inspired many paintings,” according to Lloyd Ostendorf. It also was used to create an oval engraving of Lincoln which was affixed to the old Five Dollar bill printed from 1928 until 1995 (below). 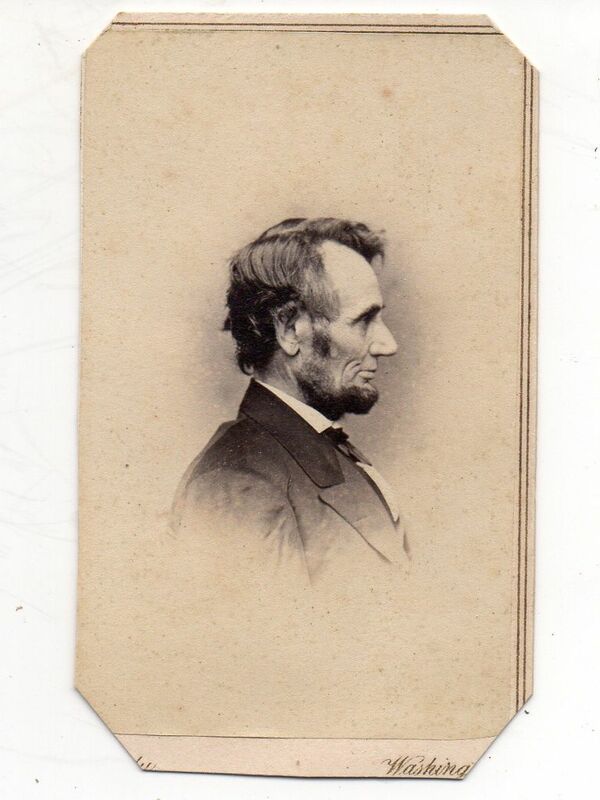 O-94 (below) is a full length standing portrait of Lincoln and is possibly the least well known of the seven February 9 views taken by Anthony Berger. Here’s a shout-out to each of the main participants — Anthony Berger, Francis B. Carpenter, Abraham Lincoln, and Tad Lincoln — on the 151st anniversary of the photo shoot which arguably produced our most recognizable images of Abraham Lincoln. Absent the execution of the Emancipation Proclamation, the vision of painter Francis B. Carpenter, and Anthony Berger’s work behind the lens of his camera, none of the photographic images produced at Brady’s Washington D.C. gallery on February 9, 1864 would have come into existence and the world would be a very different place than it is today.